UK Water Distiller - Megahome 943SBS - 2-day delivery! I read this article and found it very interesting, thought it might be something for you. The article is called UK Water Distiller by Megahome and is located at https://www.chemtrailsprojectuk.com/product/water-distiller-uk-megahome/. 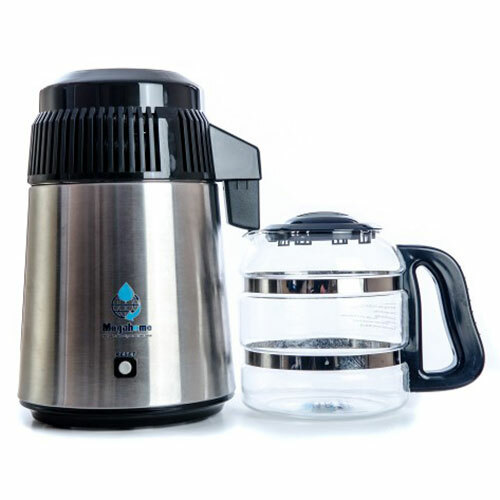 Widely regarded as the best drinking water cleansing unit on the market, this Megahome UK water distiller removes aluminium, barium, strontium and every other impurity to leave you with totally pure drinking water. All the distillers are made with standard 304 grade stainless steel, with the exception of the marine-grade version which is made from 316 stainless steel – currently, the only water distiller in the world built to such a high specification. All distillers come with a one year warranty, so we will repair/replace any faulty machine in the first year. Included with this distiller is a 6-month supply of charcoal filters and a 6-month supply of crystal cleaner. Have you ever tasted absolutely pure water? Most tap water contains a mix of pollutants. Even bottled and filtered waters contain impurities. And the problem is, if you do not filter them out before you drink your water, your body ends up trying to do the filtering. The only guaranteed way to get the absolute purest water is steam distillation using a water distiller. Distilled water is 99.8% pure water. 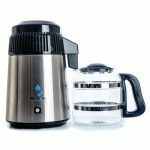 By using a water distiller you get water that is purer than any bottled or tap water and purer than any other type of filtration or purification method. With our water distiller the water is first gently boiled. 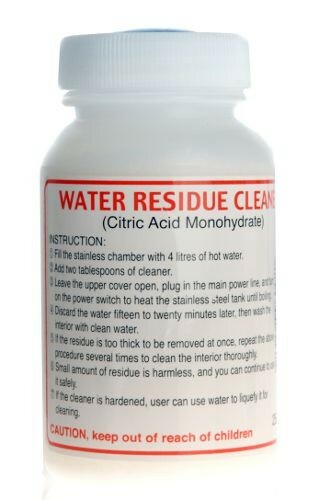 This kills off viruses and bacteria and leaves most of the pollutants behind. The steam is then captured in a stainless steel coil where it cools to form pure water. This water then passes through an activated charcoal filter to finally remove any trace impurities. How does it compare to bottled water? You would be surprised at how many pollutants there are in bottled water AND it is expensive. Most bottled water is more expensive than petrol. Using our water distiller the cost of water works out at about 9p a litre over a typical year of use. How do water distillers compare to other forms of water purification? The two most common other forms of filtration are activated charcoal filter and reverse osmosis. Of these reverse osmosis is the more advanced technique. 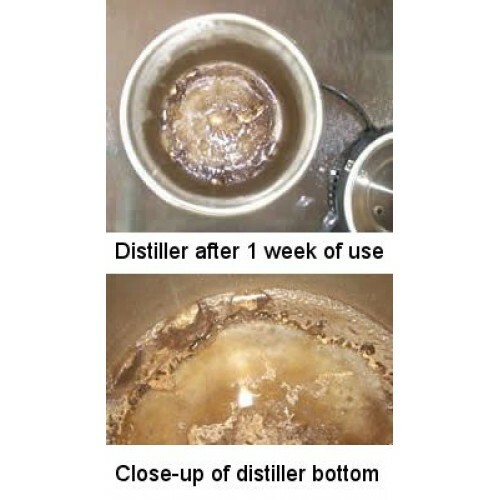 Tests show steam distillation is more effective than either carbon filtration or reverse osmosis. Organic chemicals: Antibiotics, Fertilizers, Pesticides, Insecticides, Herbicides, Solvents, Growth Hormones, Hard Water Minerals. Inorganic chemicals: Aluminium, Phosphorus, Asbestos, Selenium, Sodium, Flouride, Iron, Lead, Mercury, Barium, Nitrates, Copper, Lead, Chlorine, Arsenic. Biological contaminants: Bacteria, Viruses, Chryptosporidium, Chlamydia, Giardia Cysts. Radioactive: Radium, Strontium 90 and Plutonium. 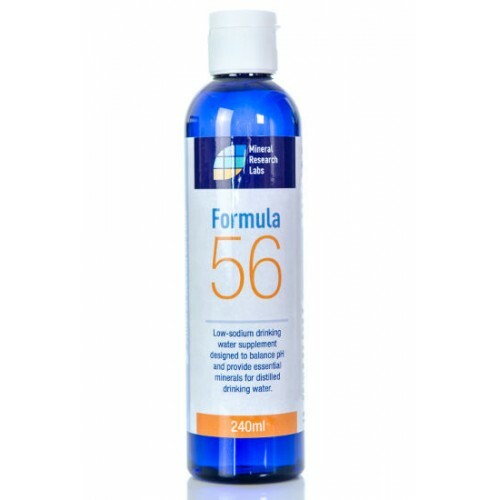 Your water distiller produces 4 litres of absolutely pure water in five to six hours. It drips the water into a BPA-free polypropylene container (or glass container if that is the option you choose) which is designed to fit easily into a fridge and also fits inside the water distiller for easy transportation. It turns itself off automatically – you do not have to worry about it overheating. As shown in the above picture, the distiller might look a bit disgusting by the end of the week. The good news is that your body didn’t have to act as a filter for all that crap. And the other good news is that cleaning the distiller is really easy. It’s just a case of filling the distiller with hot water, adding some residue cleaner (provided) and letting it run for 20 minutes or so until it’s nice and clean again. Full instructions are provided. Where can I purchase additional filters and cleaner? 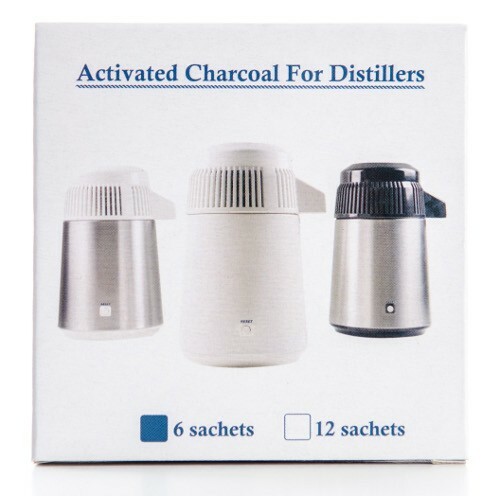 The distiller comes with a 6-month supply of filters and cleaner, and you can buy additional ones from our shop: charcoal filters and cleaning crystals. Does the water distiller contain aluminium parts? The fins at the top of the distillers are aluminium but a stainless steel tube runs through the middle of these fins. At no time does water come in contact with aluminium. Aluminium is used here because it cools down quickly enabling the steam to be turned into water. Does distillation also remove good minerals from the water? Water distillation will remove everything from your tap water. Some people choose to add a small amount of Himalayan Salt (available from health food shops) to their distilled water to add healthy minerals. Also, as with any drinking water, it is a good idea to bottle the water soon after production to ensure it’s pH level doesn’t drop. More info here. What is the delivery method and how long does it normally take to arrive? Delivery is in the UK via Interlink Express. You should expect your distiller to arrive within 1 or 2 working days of ordering. I have a Megahome distiller and use it everyday now for almost 3 years. Drinking anything but pure distilled water is now unthinkable to me. I drink 2-5 liters per day, it has done wonders for my health and even cleared up a skin condition the “doctors” said could not be cured. I have had no problems with this distiller, and recommend it without hesitation.